In the past few years, the beacon technology has proved to be an effective tool for mobile marketers, changing the way consumers interact with brands. However, this location technology has had to face some adoption barriers such as the need of having an app installed by end users in order to be able to interact with them and to convince them to turn on their Bluetooth. The latest proximity update from Google, the Eddystone beacon protocol, has been designed to overcome those constraints. So, let first understand what the Physical Web is and what it means for proximity marketers. A few years ago, engineers at Google Creative Labs were thinking about ways of making internet experiences more tangible and physical. At the time, the Internet of Things and the idea of smart connected devices were beginning to emerge, but Google engineers wanted to develop something that was even more personal and intimate; this gave birth to the concept of the physical web. According to Google, the Physical Web is an open approach to enable quick and seamless interactions with physical objects and locations. In essence, the physical web improves upon the concept of location marketing and local SEO, two strategies that Google has given great emphasis over the last few years. How Does The Physical Web Work? 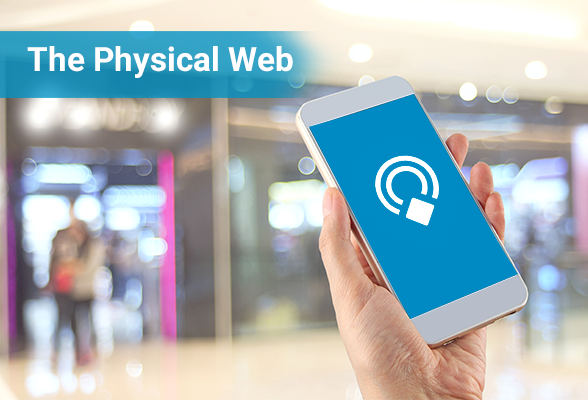 The Physical Web is designed to be powered through beacons that support Eddystone, an open beacon format developed by Google. Eddystone works for both Android and iOS devices via the Chrome browser app. Mobile users should have installed Google Chrome browser on their smartphones in order to receive the Physical Web notifications. Then, they request a list of what’s nearby, after that, a ranked list of URLs is displayed according to their proximity. Finally, mobile users choose and click on the information that is more relevant to them; the URL is opened in a full-screen browser window. An example of an Eddystone beacon turning the web into a physical experience would be a poster for an upcoming film posted at a train station. When smartphone users come closer to the poster to get a better look, the beacon could send information about the movie theaters and times for the film; it could also include instructions about how to get a discount on movie tickets. Another example would be a restaurant that has reached its capacity and has no more open tables; the beacon could provide this information to diners when they are close to the restaurant, but this message could be extended with an invitation to sit at the bar, enjoy discounted drinks and wait for a table. Displaying URLs: it is the most common experience right now. A relevant HTTPS URL is delivered to mobile users in the proximity of an Eddystone beacon. Once they click on the URL, they will be redirected to a full-screen website or landing page. It could be used for driving customers in-store, collect customers feedback or boost in-store sales with offers. Triggering an app intent: brands use this type of experiences to trigger nearby notifications via mobile apps. It works with an app that is already installed and it can display rich content and trigger any action you dream up because it “speaks” directly with the app. This way, brands can leverage nearby notifications to boost engagement on the app. For example, driving reviews or check-ins with travel apps, increasing in-app purchases, opening loyalty cards, etc. Triggering an app install: brands can also drive mobile app downloads. They can redirect mobile users to the Google Play store where the app can be installed with a push of a button. Google has addressed all the flaws detected by the community in the Apple iBeacon specification, meaning that even more companies and developers are going to create amazing mobile campaigns using all the expertise that has been gathered over these years. No App needed: Bluetooth beacons can communicate with things directly, without the need of a mobile app, effectively helping to create a decentralized network of devices that are able to communicate with our mobile phones. Unique ID: It does not have the same number hierarchy (UUID, major, minor) that iBeacon has, but it is a very similar concept. Eddystone can broadcast a unique ID that will be received by any mobile device in the vicinity. Telemetry: Each of the most relevant Bluetooth Beacon manufacturers so far send information about the beacon such as the battery level in a proprietary format, meaning that if you wanted to read this information, you had to consult the manufacturer docs in order to do so. Google, on the other hand, has standardized the way information is sent by the beacon as part of the Eddystone protocol. Google has created a new mobile strategy that brands can leverage, along with their online presence to improve their visibility and extend their promotion efforts. Although this is still an emerging technology, the physical web is currently being used by brands as part of a mobile strategy to reach consumers by means of proximity marketing. The travel application, Airside Mobile is leveraging Eddystone beacons to send nearby notifications to mobile travelers a prompt for downloading its app and interact with different in-airport experiences. So, when a traveler enters in a range of a beacon, installed in the airport, a nearby notification is sent to his Android smartphone with a URL link to download the Airside Mobile app directly from the Google Play Store. Hasgeek is a very popular Indian conference related to technology and innovation. They leveraged nearby notifications to enhance the attendee experience by informing guests about the availability of a Wi-Fi network and details about conference schedule. The Brookwood Middle School, in Vance, U.S. deployed Eddystone beacons throughout the school (academic and athletic trophy cases), in public buildings and popular restaurants in order to provide relevant information to students, parents and the community. So, when a student or parent is walking by the school trophy case, for example, a nearby notification is displayed showing relevant content such as videos and news about recent academic and sports accomplishments. Download the United Airlines app for free in-flight entertainment while you wait at the gate before you board your flight. Location-based technology is opening up a world of possibilities for mobile marketers. The physical web is one of the most exciting developments for business owners who wish to gain a competitive edge in terms of marketing. 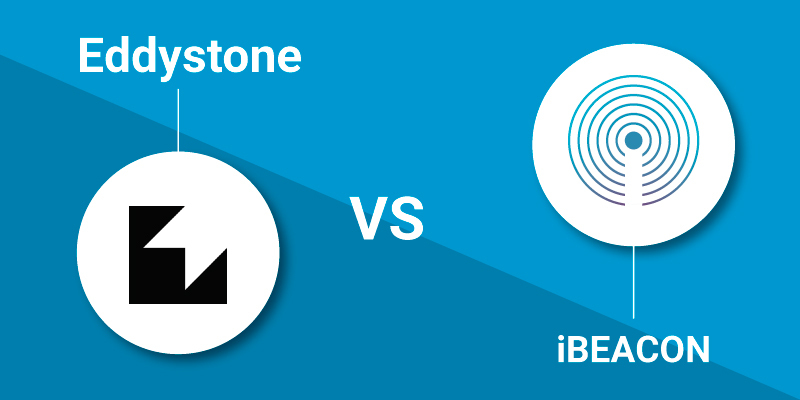 Companies that install Eddystone beacons as part of their mobile strategy can deliver valuable information and offers, removing the need of downloading an app and allowing mobile users to access the content near them. This new open standard not only accelerates the opportunity in the retail market but also support growth in new markets such as tourism, travel, smart cities and beyond.